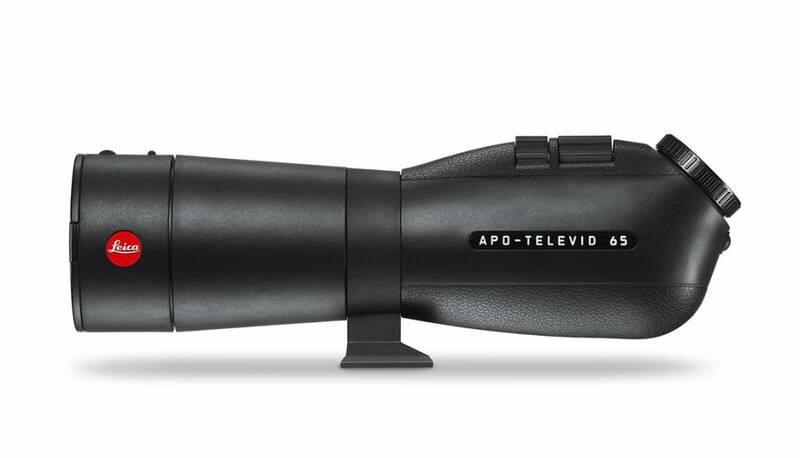 The Leica APO-Televid 65 is a top-class small, compact spotting scope, only 30 cm in length. With 4-part fluoride objective lens system for the best possible color accuracy, image definition and detail. The shortest close focus distance in its class (only 3.0 meters). 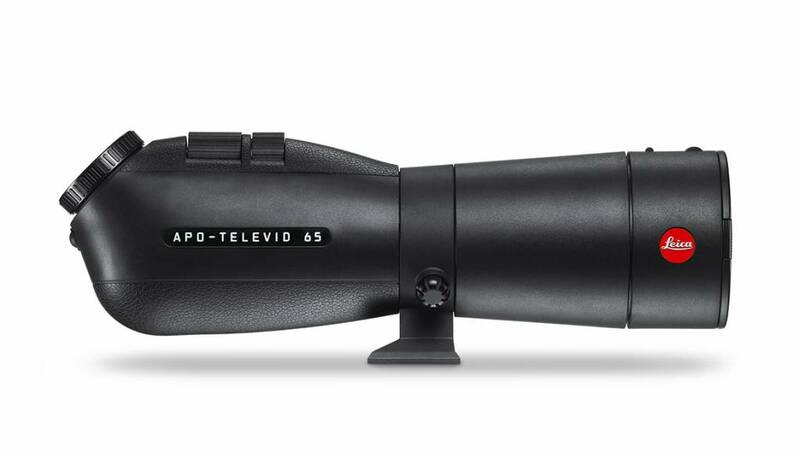 This angled spotting scope has a rubber-protected magnesium housing and is nitrogen filled, while being waterproofed up to 5 meters. The automatic eyepiece lock on the new bayonet system ensures that all eyepieces are held firmly in place. 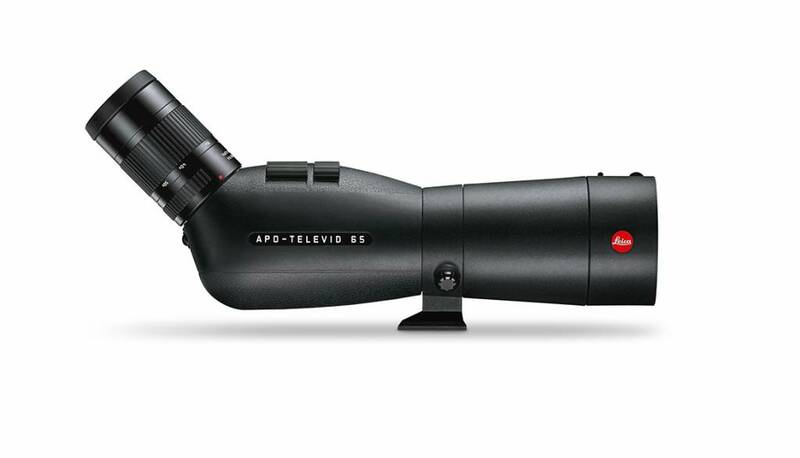 The Leica dual-focus system is reinforced by an additional crosspiece. The full rubber protection of the robust magnesium housing which fits comfortably in your hand, absorbs shocks effectively and guarantees silent viewing. On the APO models, an optically neutral front lens glass additionally protects the sensitive optic from harsh weather conditions.